A 29-year-old man is in the grips of the Accra Regional Police Command over the killing of undercover journalist with Tiger Eye PI, Ahmed Hussein-Suale. This brings to two, the number of suspects who have been arrested by the police over the killing. 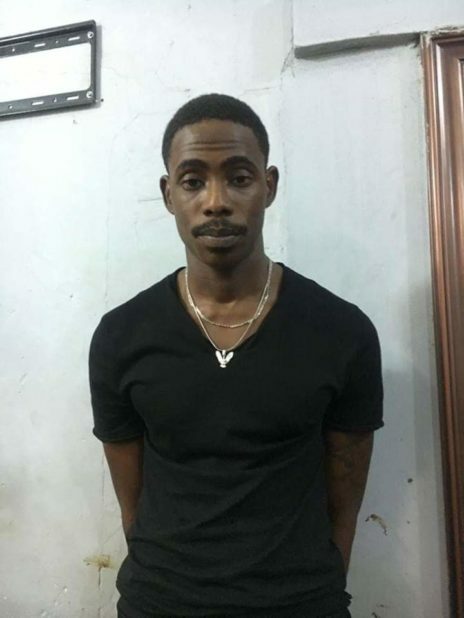 Narrating circumstances leading to the suspect’s arrest, DCOP Peprah said: “There is a suspect in connection with Ahmed Suale’s death and his name is Abdul Rasheed. He is 29 years. This morning, we had information that the suspect called a Policeman that he has got information that the Accra Regional Police Command is looking for him in connection with Suale’s death and that he wants the Policeman to assist him so the Accra Regional Police will stop pursuing him. The Police administration earlier indicated that it has interrogated 13 suspects in connection with the murder of a journalist with investigative firm, TigerEye PI, Ahmed Hussein Suale. “We’ve done a lot of investigations and through the eyewitness, we have been able to come a long way. We have gone far. In the course of this investigation, 13 suspects have been questioned. One is currently on remand, assisting us with investigations. These 13 people include Anas and Kennedy Agyapong. Other leads are being followed,” the CID boss said. Some reports had suggested that the suspect in custody was spotted at the crime scene before the act was committed and went into hiding only to resurface a few days ago. The Brong Ahafo Regional Vice Chairman of the NPP, Kwame Baffoe alias Abronye DC recently alleged on Net 2 TV that the suspect in police custody is the one who pulled the trigger on Ahmed Suale. He also alleged that another suspect who was arrested by the police and sent to the Kotobabi Police station was released after allegedly bribing the police. But the CID boss said the claims were untrue. She explained that an informant reported to the police that an alleged perpetrator of the crime had been spotted at a pub within the Kotobaabi community, an unarmed police officer went to effect arrest of the suspect but he encountered strong resistance from the suspect and some persons in the area. According to DCOP Tiwaa Addo-Danquah, a patrol team the officer called for did not arrive early and upon sensing the aggression being displayed by the suspect and those around, retreated. “It is not accurate that the person was arrested, sent to the Kotobaabi Police Station and because he has links with somebody else, the person was granted bail… The suspect never got to the police station,” she said. She, however, gave assurances that the police are working hard to unravel the circumstances surrounding the murder.